Hello, my name is Frankie Suave. I am a blanket hoarder. And, no, I do not have enough to share with my little brother, Boom Boom. Frankie amongst his pile of blankets. 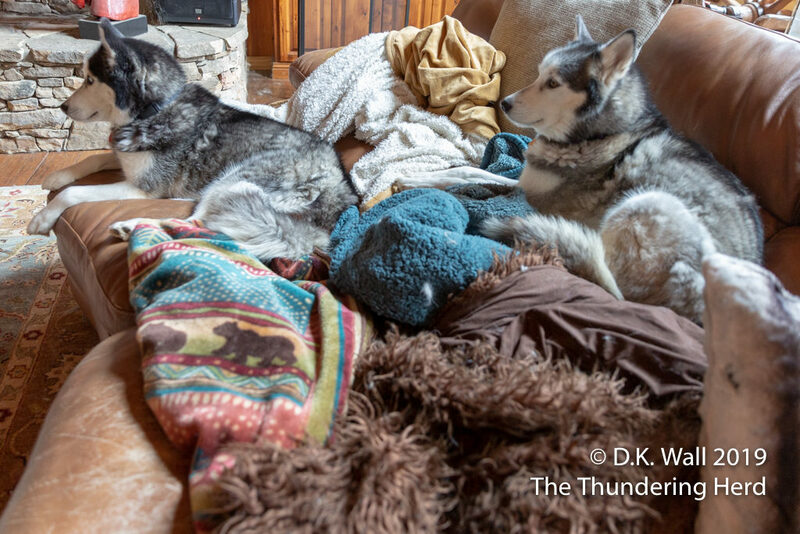 We mentioned the other day how Cheoah is having to share the den and her fireplace with her brother, Frankie. But he seems to be taking things to a new level with his growing pile of blankets. He has always been a great fan of building nests and has, over the last several days, dragged a number of blankets to his couch for his new cuddly sleeping spot. Just a few gathered blankets. 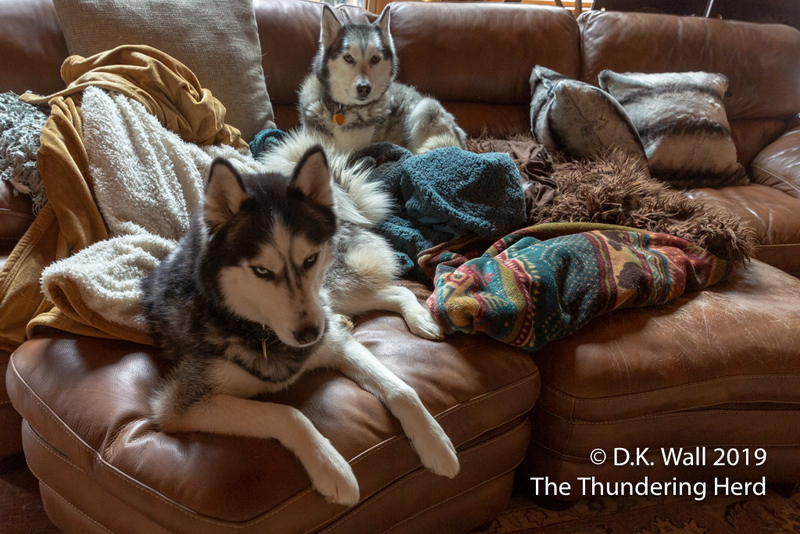 What really brought it to Hu-Dad’s attention, though, was the fact that Landon wanted to be on the couch with his big brother, but note that Frankie is not sharing a single blanket with him. Boom Boom has been pushed to a single ottoman with no blanket. How big will the nest grow? 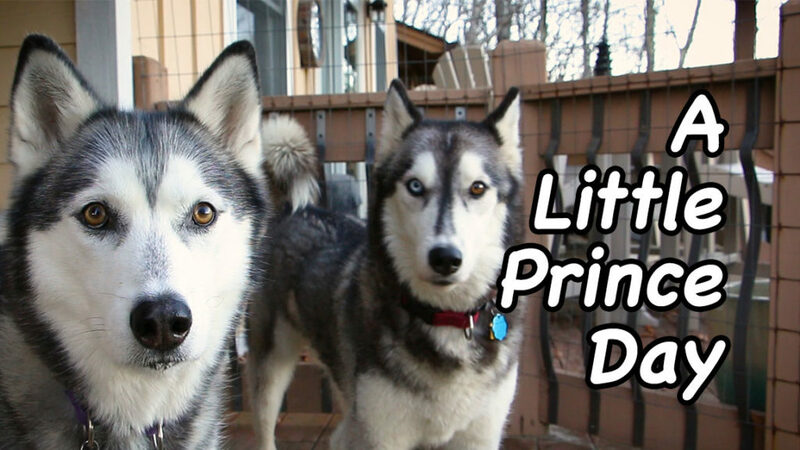 Speaking of Frankie and his little brothers, our Movie Memory Monday goes to the oldest of the little brothers, His Haughtiness Little Prince Typhoon Phooey and his perfect day – A Little Prince Day. Frankie-you seem to have declared the couch AND the blankets to be YOURS and yours alone. Your poor little brother Landon left sitting there with not a one to lay on. Come on-share! HaHaHa!!! That blanket nest is hillarious!! Frankie looks so proud of his work. Love the Little Prince film…his bi-eyed look is striking!!! Frankie exercising his seniority? The Herd seems to have their hierarchy pretty well worked out. Frankie, you make me laugh! From your beautiful Parti-eyes to your blanket hoarding! Poor Cheoh. She’s lost her perfect warm get away to a blanket addict and his follower. I think there’s help for you Frankie..
Frankie…..give your brother some blankets! I would like to see a picture of him carrying the blankets in his mouth to the couch. Frankie says never get caught red-pawed. That way, the humans never know how they moved. 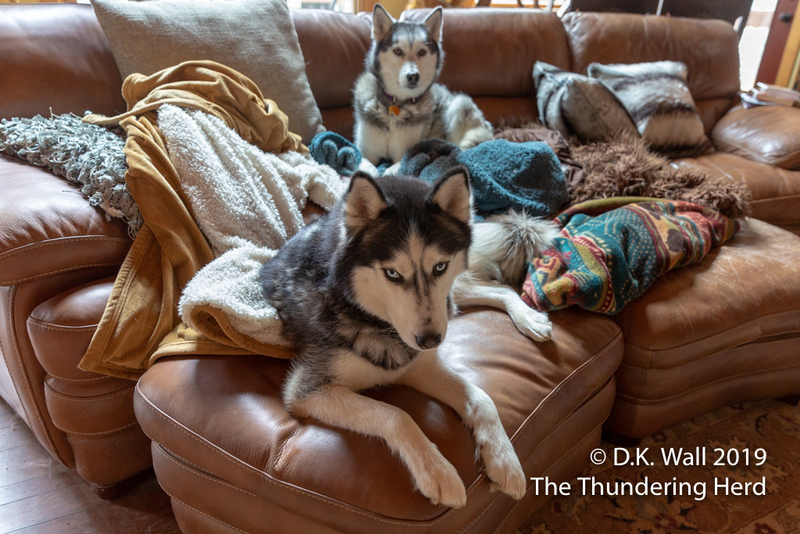 Typhoon, on the otherpaw, does not care what the humans think so just blatantly commits theft around the house. ← Where Is The Class Clown?